CoSchedule offers many features to help bloggers succeed, but my personal favorite is it’s ReQueue Groups feature. CoSchedule’s ReQueue makes sure my social media calendar is always filled with perfectly timed posts to increase visibility and interaction and ultimately drive traffic to my blog and increase my income. Have you ever downloaded a productivity tool and been so excited about it for the first few weeks and then slowly forgotten you have it? I have lost count of the number of apps I have tried in order to stay organized and get more done. CoSchedule is not one of those. I personally use it for my own blogs every single day, even when I don’t log in to check it. What is CoSchedule – and CoSchedule’s ReQueue? The specific features available are based on the plan type. And they offer reasonably priced customizations like adding additional users or social profiles. Disclosure: The International Blogger’s Association may receive commissions for purchases made through the link(s) in this post. See full disclosure here. The International Bloggers Association tracks our editorial calendar and schedules our social media posts with CoSchedule. It’s by far our favorite program! I have been personally using CoSchedule for awhile and was grandfathered into a basic plan. Recently, I upgraded to their Essential plan so I could use it to track both of my blogs and gain the incredibly important ReQueue feature. This is now their standard individual plan. Schedule blog posts for both of my blogs. Schedule newsletters for both blogs and the IBA. Track upcoming tasks for my clients and the IBA. Schedule social media posts for both blogs and the IBA. Walk the dog, take out the trash, vacuum, make dinner. Well, maybe they will add those in the future. I integrated CoSchedule with my personal Google Calendar so I can track all of those activities right next to my “real life” schedule. The color coding, icons, and filters help me to stay organized and find information quickly. What upcoming blog posts do I have for Munofore? Have I scheduled newsletters for That Recipe this month? Does the IBA Facebook group have enough prompts? If you aren’t familiar with CoSchedule you may have asked yourself “What is this ReQueue she keeps yammering about?” In a word social automation, okay that’s two words. Here are even more words about it. 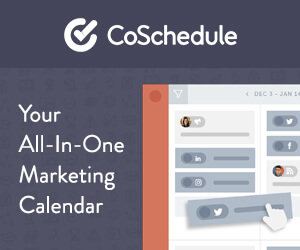 CoSchedule enables you to schedule posts to your different social media accounts in a number of ways. Schedule shares of a new blog post to be sent when that post is scheduled. Schedule shares of old blog posts to be sent on a specific day. Or, schedule a pool of posts to post when you don’t have something already scheduled. The last one is ReQueue. I have set up my calendar to have two posts a day for each social media channel. If I don’t have anything already scheduled, ReQueue pulls from my bank of social media posts and publishes it at the best time. For the most part, my blog posts fall into two distinct categories: evergreen and seasonal. Hominy Casserole is delicious any time of year, but not too many people are going to click through to see a Gingerbread Cookie recipe in June. CoSchedule Groups help me to send those seasonal posts at the right time. The first two groups are my evergreen content and can be sent any time of year. The last five are segmented by date. My TMNT Hand Print Ornament gets sent out in Holiday Season and the post about Halloween Party Themes goes out in the Fall. Setting up Groups is easy. Just add a group name. Add any custom dates. And set group sending limits (no more than 5 from the group per week, for example). Then, walk away from your device, grab a good book and your beverage of choice, put your feet up and let CoSchedule Requeue do its thing and post to social media for you. Yeah for one less thing to worry about. Have I convinced you to sign up with CoSchedule yet? You can go check it out for free for 14 days. That is a legitimate no credit card required free too, not one of those you have to cancel or we are going to charge you deals. Check out all of the features for yourself and see how much time and stress it can save you. Save Time on Social Media – Use CoSchedule! Seriously – you need to sign up with CoSchedule already. 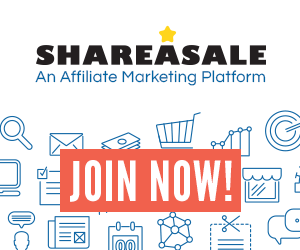 Use our affiliate link to snag it free for 14 days.